After much anticipation and a great name debate, Sea & Reef’s Black Storm Clownfish is the newest designer clownfish to be released to the public, officially on sale November 1st, 2017. “This has been three years in the making,” says marine breeder Soren Hansen, announcing a line of new designer clownfish being produced, remarkably, by Sea & Reef Aquaculture in rural Franklin, Maine, on the coast of the icy north Atlantic. 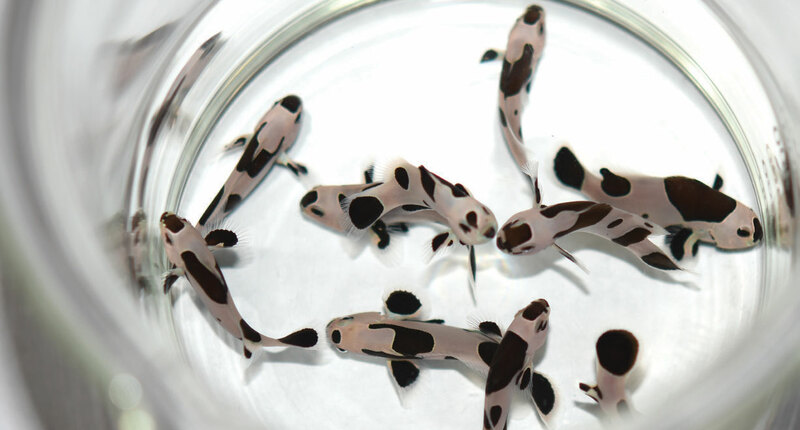 “The fish was created by a one-in-a-million mutation that was spotted by our hatchery manager, Brandon Weik, who knew something exciting had happened when he pulled the first very different-looking fish out of a group of growing juveniles. The “Black DaVinci” that isn’t: a one-of-a-kind offspring that is the predecessor to the newest designer clownfish on the market. One of the Black Storm Clownfish on display at the New Orleans MACNA, August 2017. Image credit: Matt Pedersen. Sea & Reef, well-known for being the first large-scale marine fish hatchery to commercialize the PNG Lightning Maroon Clownfish, used that experience to relaunch their unique What-You-See-Is-What-You-Get (WYSIWYG) website section to feature the new Black Storm Clownfish. 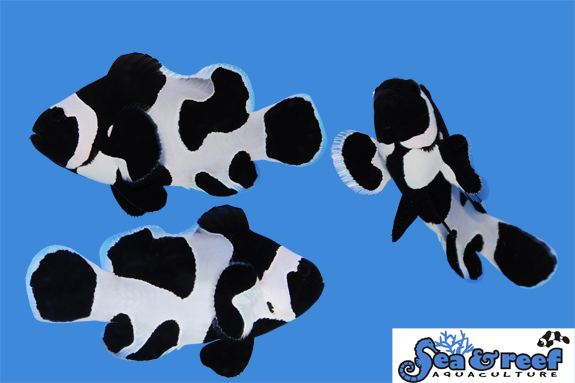 Sea & Reef’s revamped WYSIWYG section now features the new Black Storm Clownfish. 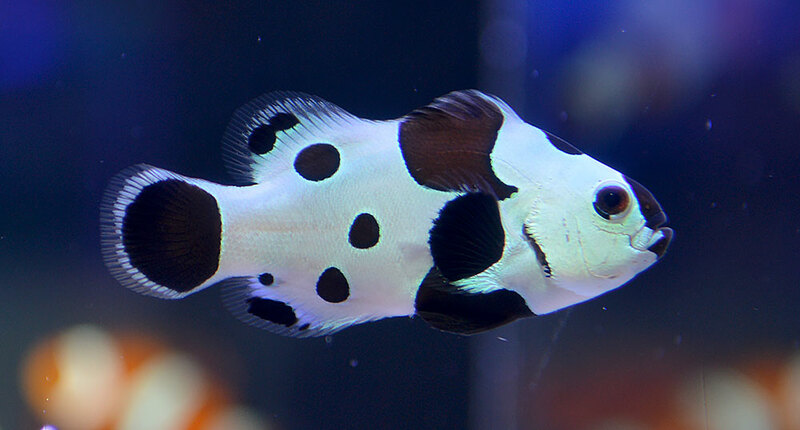 While Sea & Reef is strictly wholesale to the aquarium trade, the WYSIWYG section allows anyone to browse the most exceptional Black Storm Clownfish Sea & Reef has to offer. 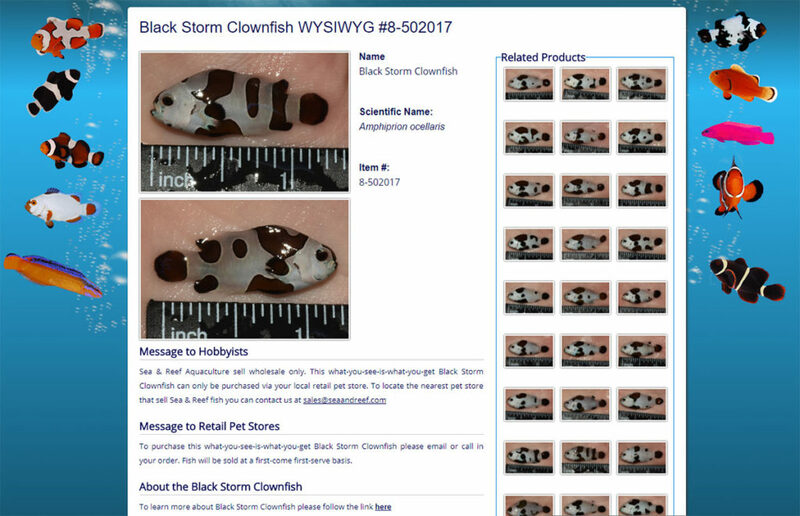 A detailed WYSIWYG listing for a Black Storm Clownfish on the Sea & Reef Aquaculture website. As noted on each clownfish’s page, individual aquarists are invited to order these fish through the closest retailer of Sea & Reef Aquaculture fish, and they are willing to help these aquarists find a shop if need be (you can email them directly at sales@seaandreef.com). While Sea & Reef does not implement MAP pricing for its retailers, Hansen expects retail prices on the initial release to range between $300 to $450 for standard-release fish, and anticipates WYSIWYG offerings to fetch between $500 and $700. The new clowns will go on sale November 1 at brick-and-mortar aquarium shops that carry Sea & Reef stock. For more information, visit www.seaandreef.com. 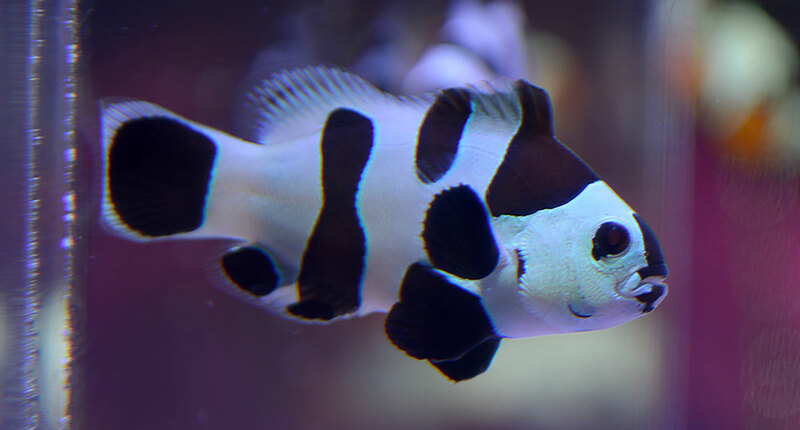 To learn even more about the origins of the Black Storm Clownfish, you can read the full story at https://www.seaandreef.com/marine-ornamental-fish/clownfish/black-davinci-clownfish, and our own coverage from 2015, One-in-a-million New Ocellaris Clownfish.